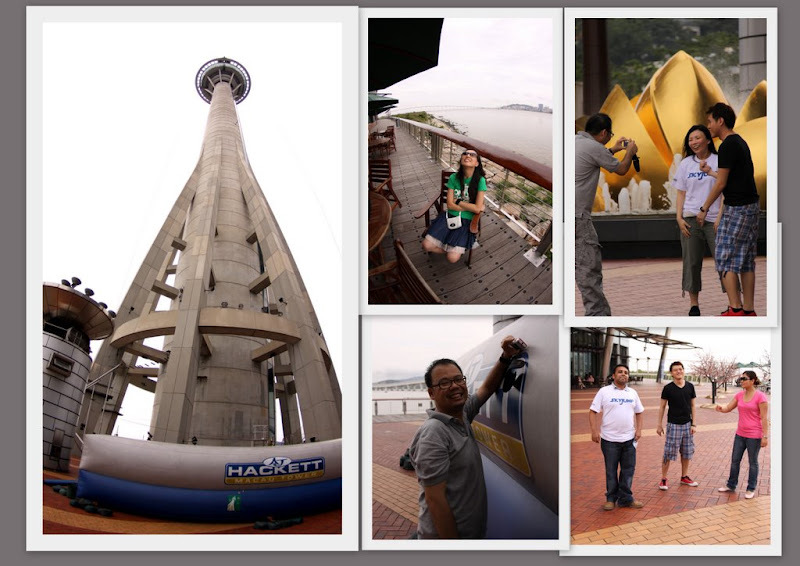 48 hours before my Birthday – Macau Surprise! 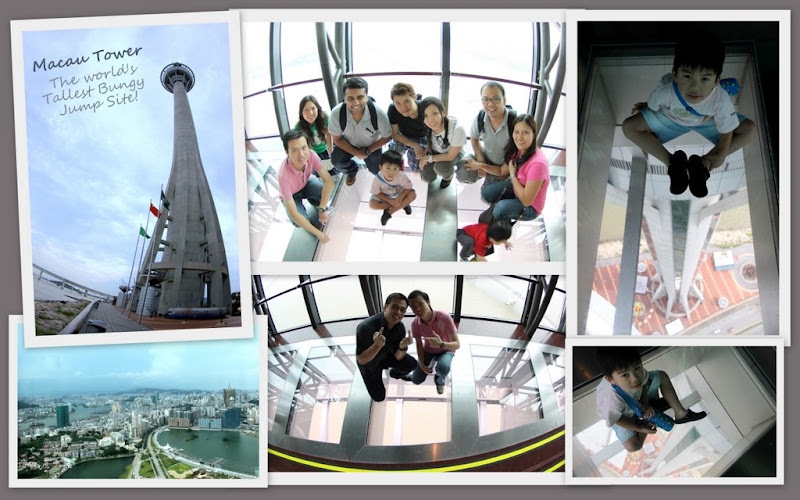 Jeff hosted us at Macau Tower (the world’s 16th tallest tower at 338m). This is also the world’s tallest bungy jump site at 233m high. What I love was the "see-through glass walk" – I am sure Gareth will be freak out! Walking on a glass floor, looking down from 233m high was such an experience! I never felt so good! 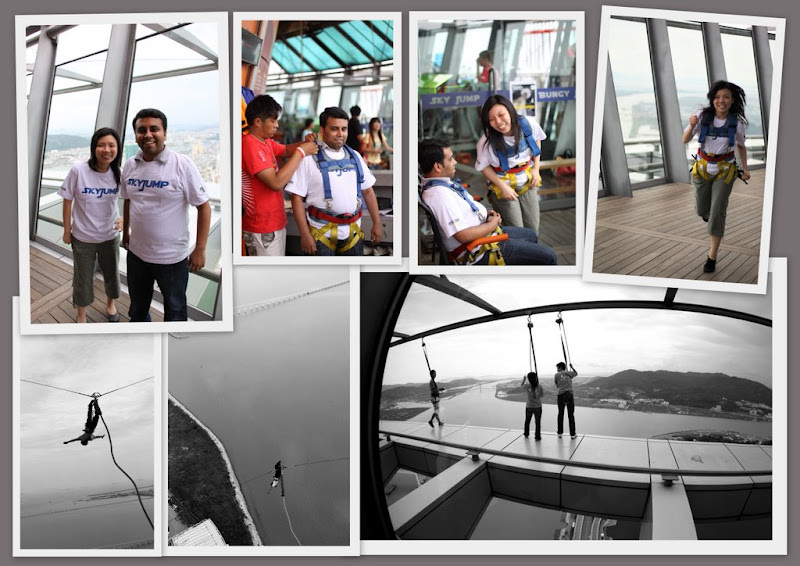 Elkan and me were jumping on the glass floor! The rest were looking at us with fear in their eyes! Haaaa…especially big men like Hong Fei and Harshad! (and Felicia and Sherry too!) Timid Pigs! 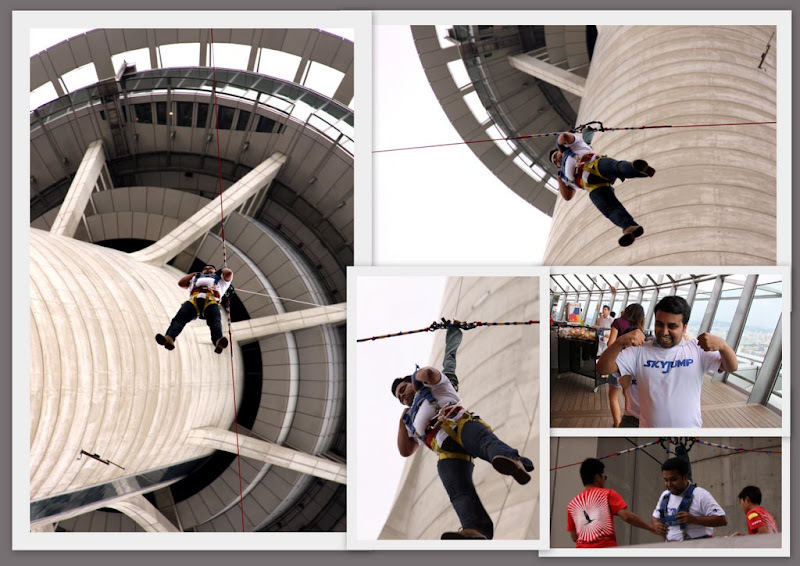 (1) BEFORE THE JUMP – Tracy and Harshad gearing up! (3) NOT "LADIES FIRST" – Harshad came down with his eyes closed!!! 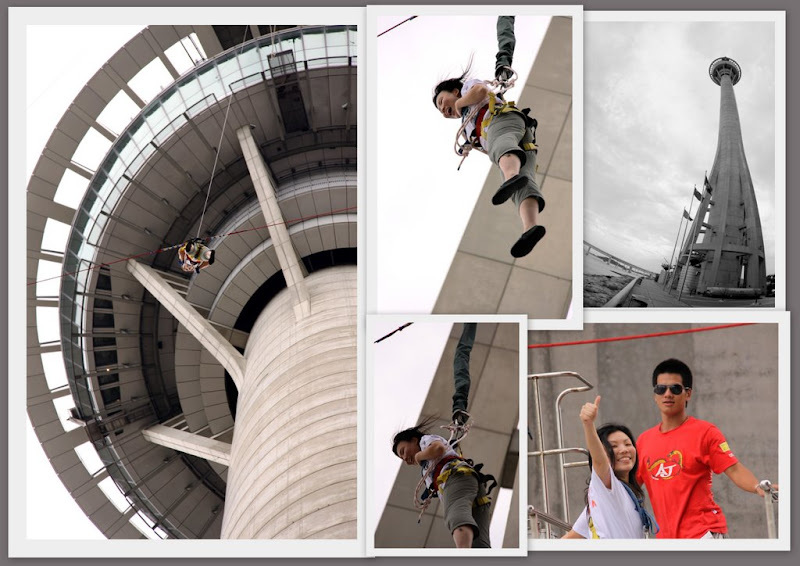 (4) TOO FAST FOR ANY SCREAM – Tracy only screamed after she landed. Retard. 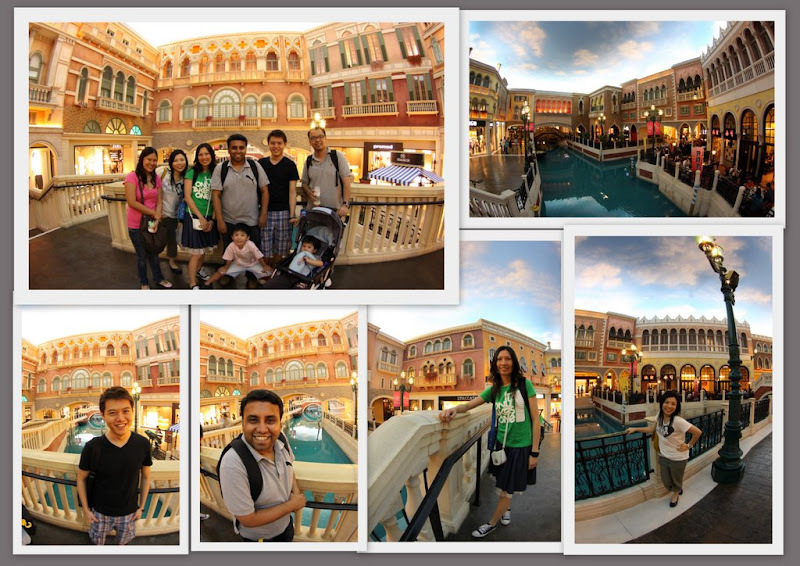 Later the evening, we headed to Venetian Casino where we spent 4 hours dining and gambling… Except for the Singaporeans, this was the group’s first visit to the Venetian. And our first ever bet on the tables at the Macau Casino! We were winning at first but eventually we lost to our own greed! Guess we cannot accept winning. We only quitted when we lost. No pain… it’s still a great adventurous day! One Response to 48 hours before my Birthday – Macau Surprise! This is the place we missed going to in Macau – The Venice-like river!